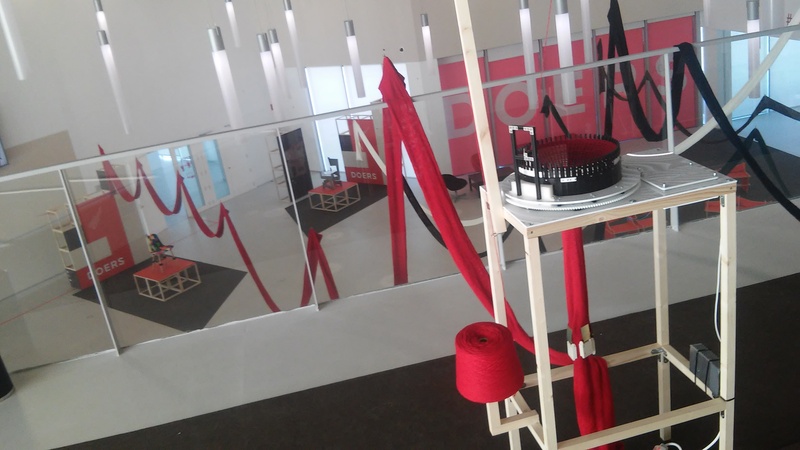 For the DOERS exhibition curated by David Cuartielles in Etopia Center for Art & Technology We produced 5 Circular Knitic machines, which were knitting for the time of the show (8 months). 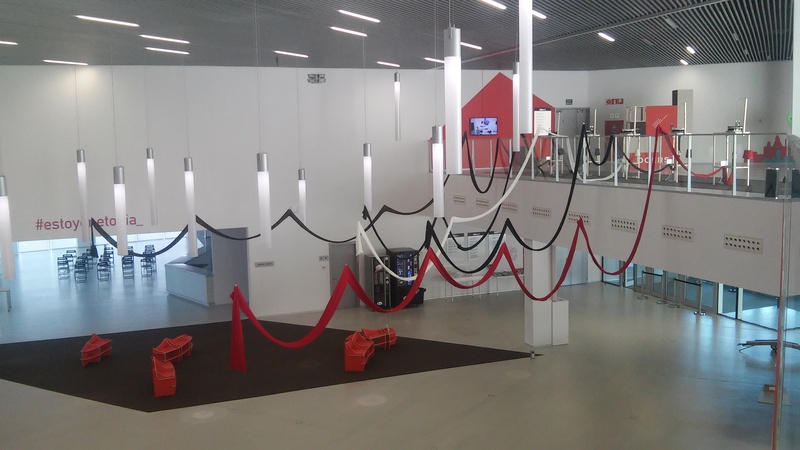 Hence, slowly the ceiling of art centre were covered with knitted tube garments. 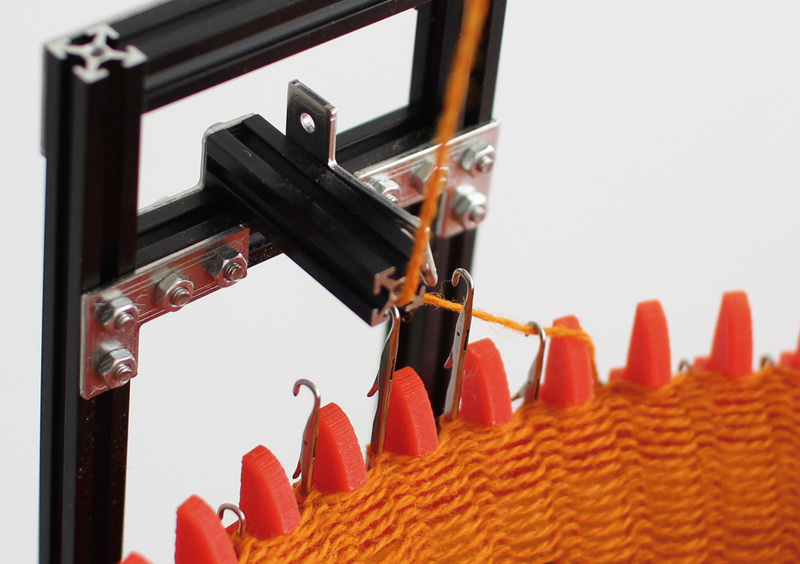 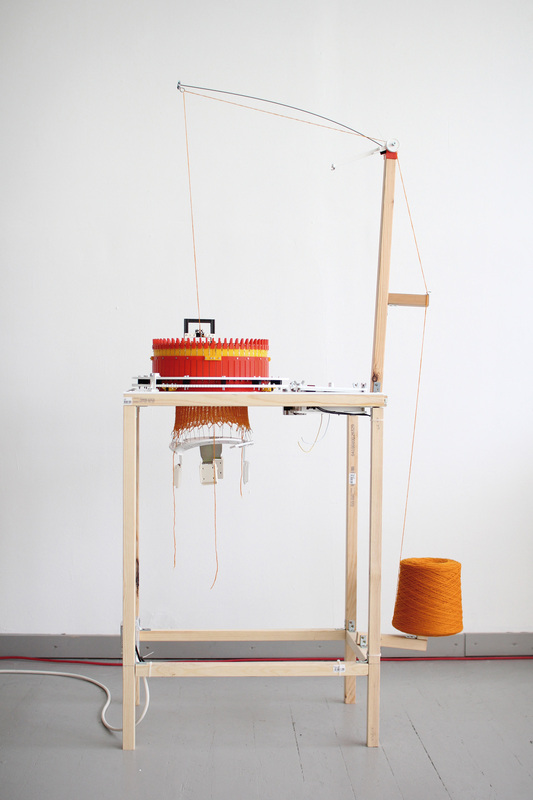 Each machine was knitting in different colour invading the exhibition space. 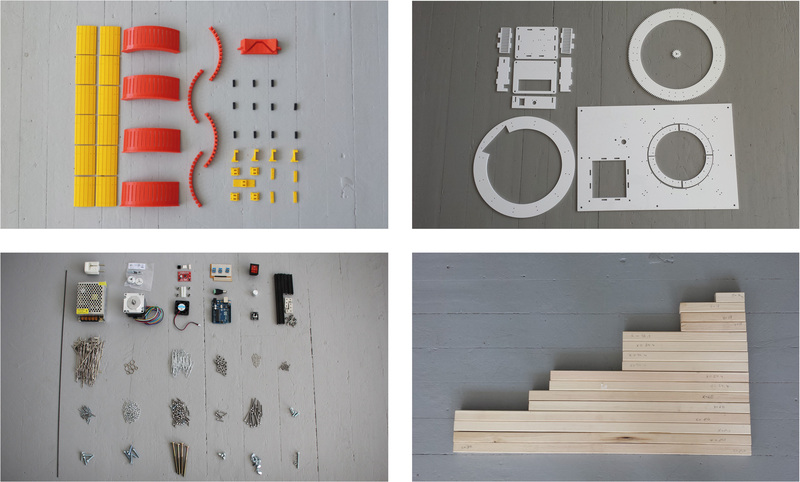 The piece was commissioned by Ayuntamiento Zaragoza. 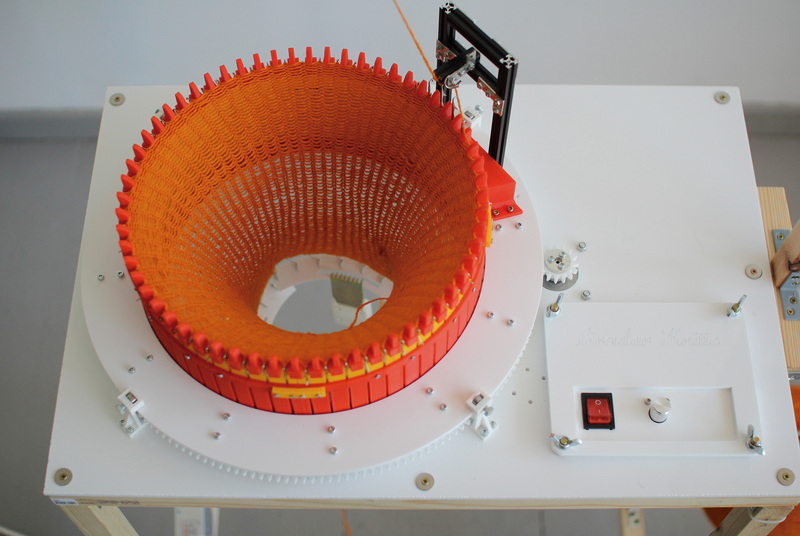 Circular Knitic on Github and manual of parts.